Made in the 1920s, these unsigned earrings are likely to have been made in Czechoslovakia. They are for pierced ears. Very good - Some wear to the gilt metal surface has occurred over time. 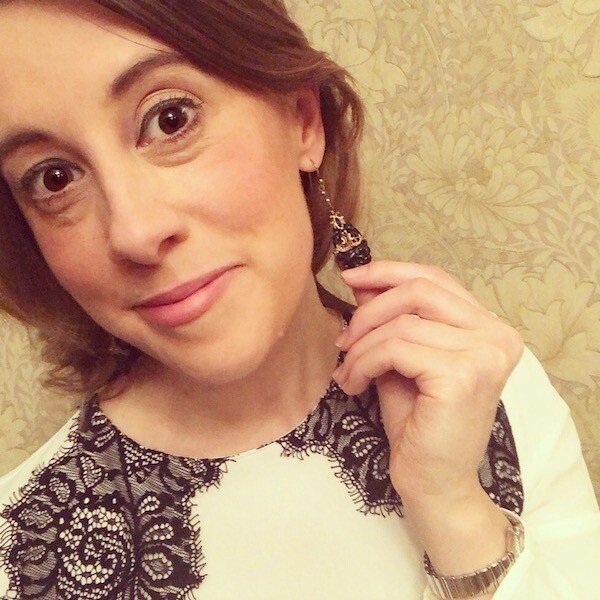 However, this is only visible on very close inspection and does not detract from the overall appeal of the earrings. These earrings are constructed from gilt metal. 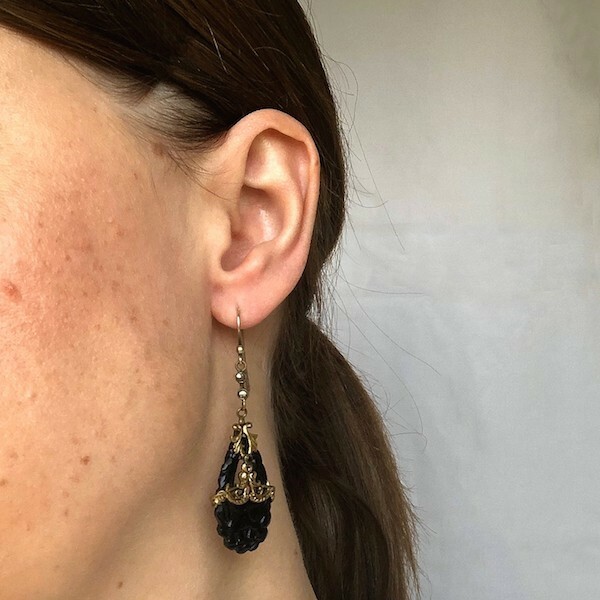 They feature a drop design detailed with marcasite stones and black glass panels molded with a design of an elephant in a jungle scene. They feature hooks for pierced ears. 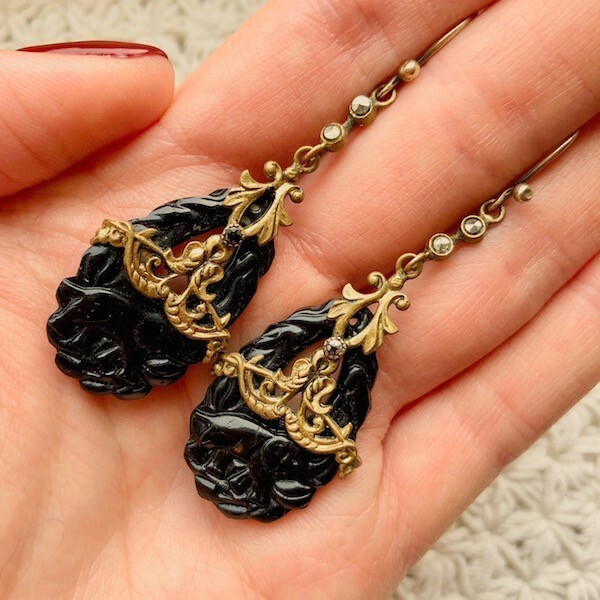 The gilt metal detailing and high quality glass in these earrings suggests that they were made in Czechoslovakia. They are two aspects that were popular in design in the country and, especially, prevelant in 1920s and 1930s Czechoslovakian costume jewellery. The rich tones of the gilt metal contrasting with the black glass would have suited the Art Deco aesthetic of the Twenties. These earrings would look beautiful paired with a floral maxi-dress.